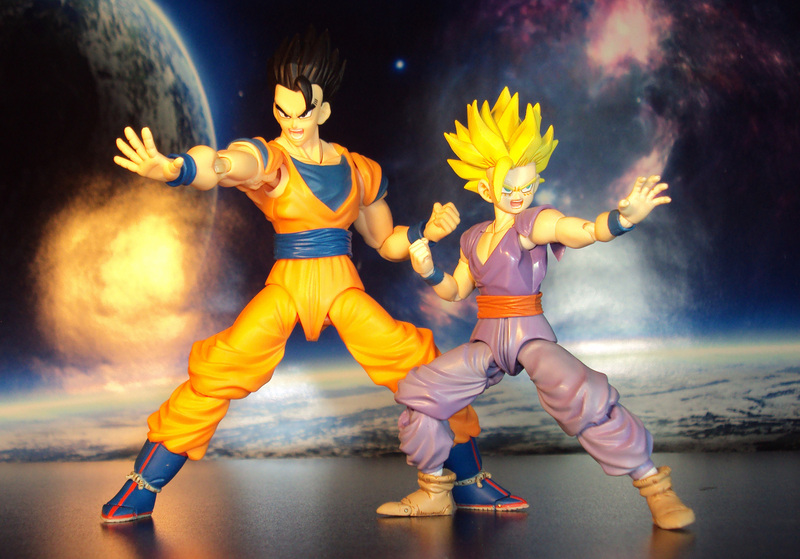 Ascending to new power levels through advanced training, Ultimate Son Gohan is born. 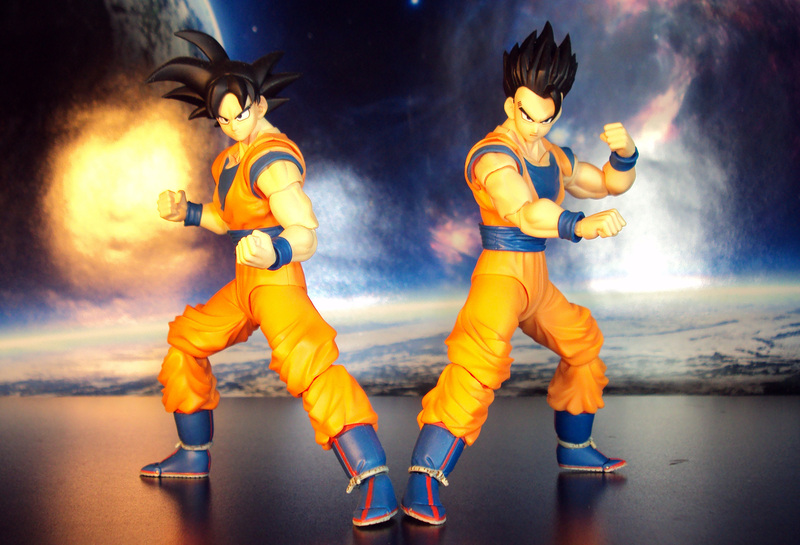 This figure uses the same exact body mold as the mass release normal state Goku with entirely new head sculpt. 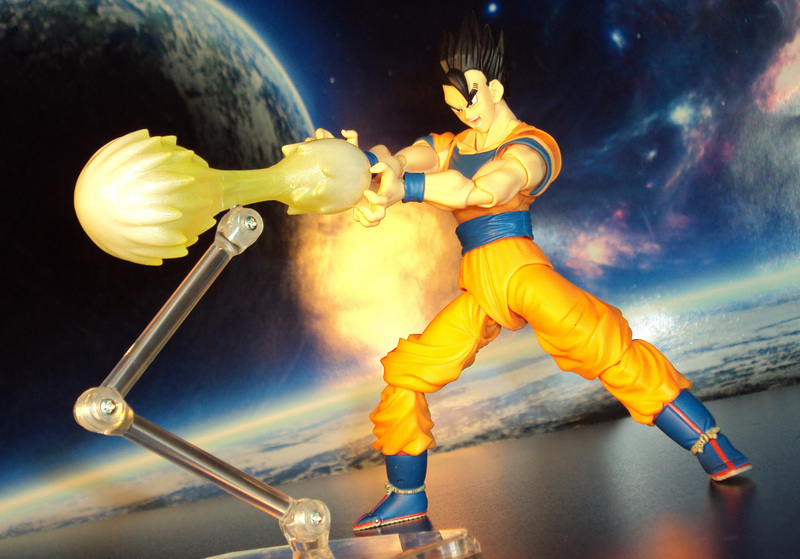 Features stellar sculpting and a wide range of articulation complimented with extra hands, alternate facial expressions and a blast effect part with stand. Priced at about $40 (amazon). 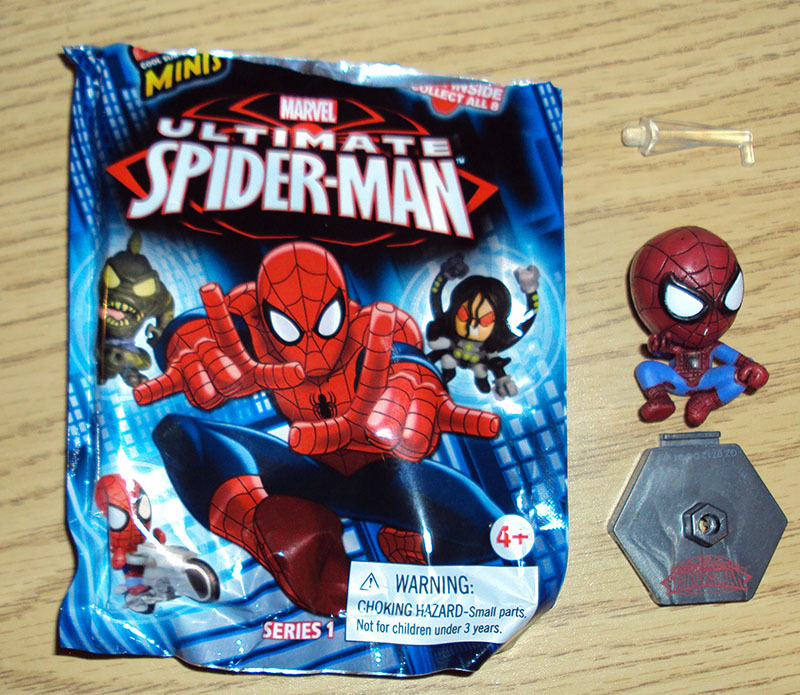 Dropped by my local Target and spotted the next Marvel Legends (Hit Monkey Series) Action Figures. 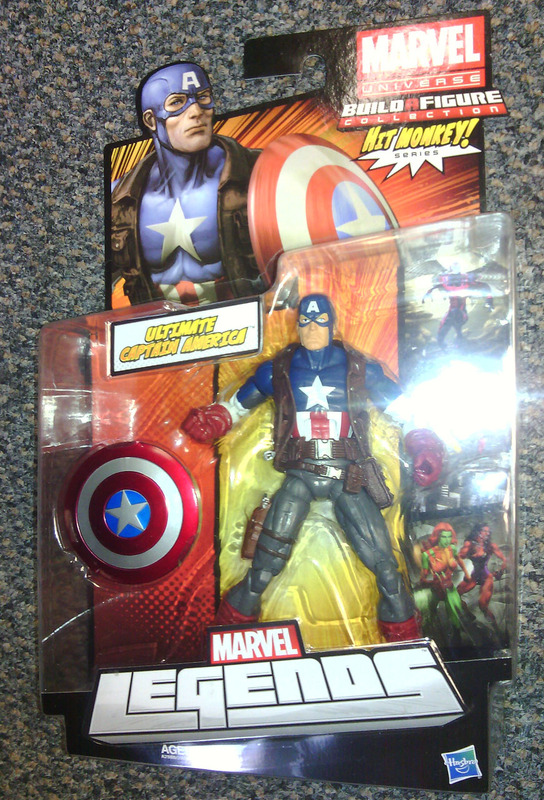 The only figure that tickled my fancy was the Ultimate Captain America action figure. 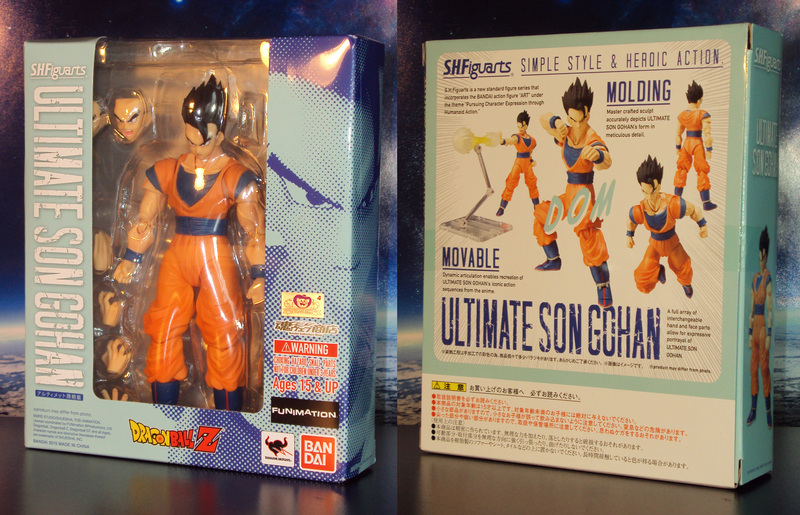 He’s one of the figures in the line without a Hit Monkey build-a-figure part. 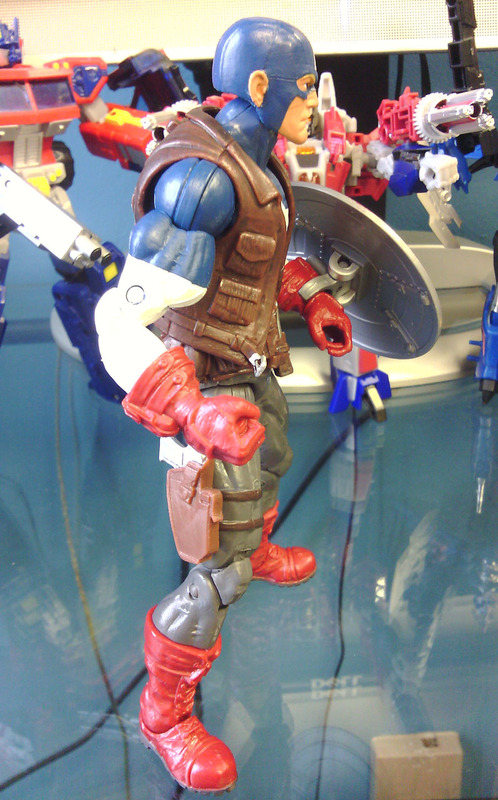 He has a brown combat vest that gives him a more equipped look. 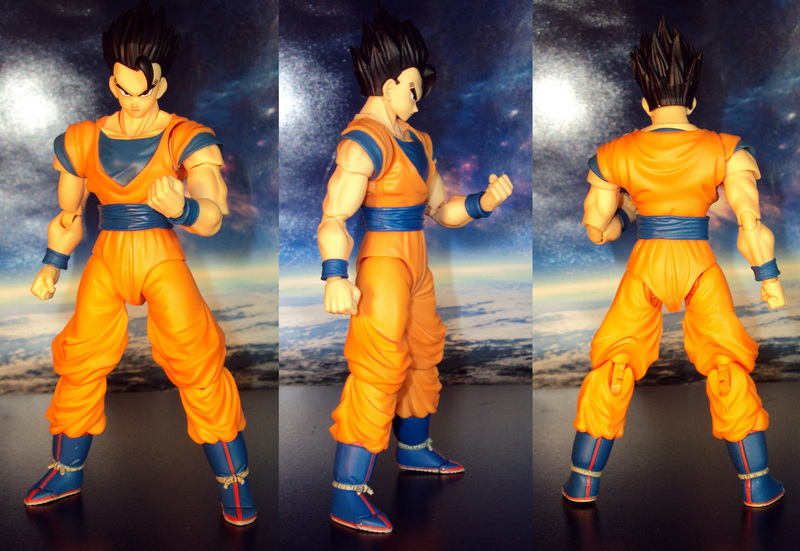 He rarely used a vest in the comics but its nice edition for the figure. He’s not entirely accurate to his comic book design. 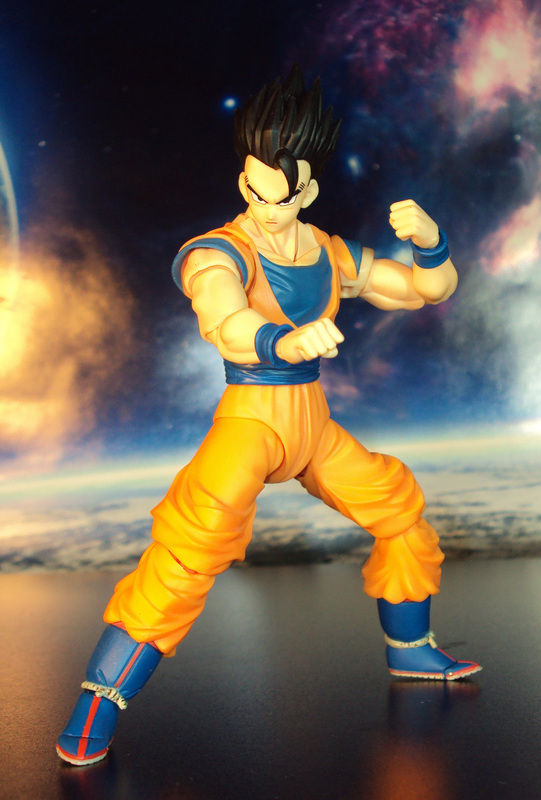 He lacks gray paint apps under the shoulder joints like the gray areas on the inside of the biceps. He also is missing the star logos on top of the shoulders. 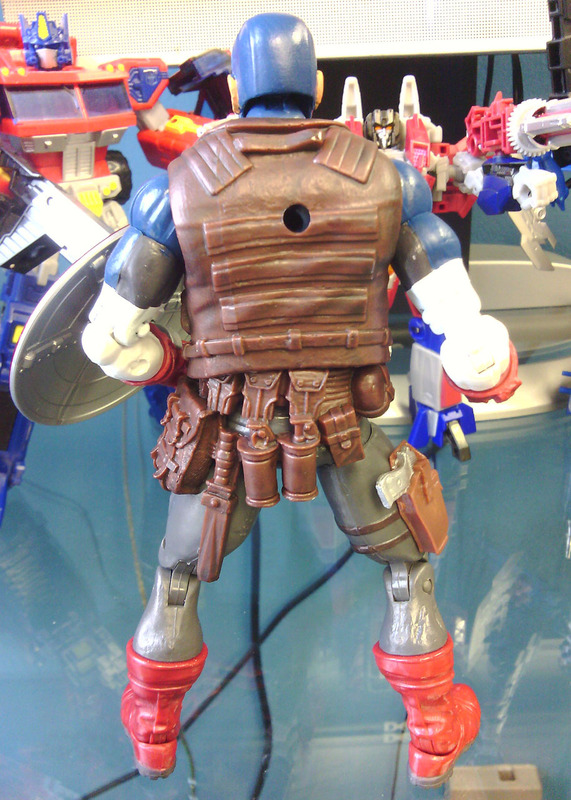 Note all the extra combat gear on the rear of his belt. 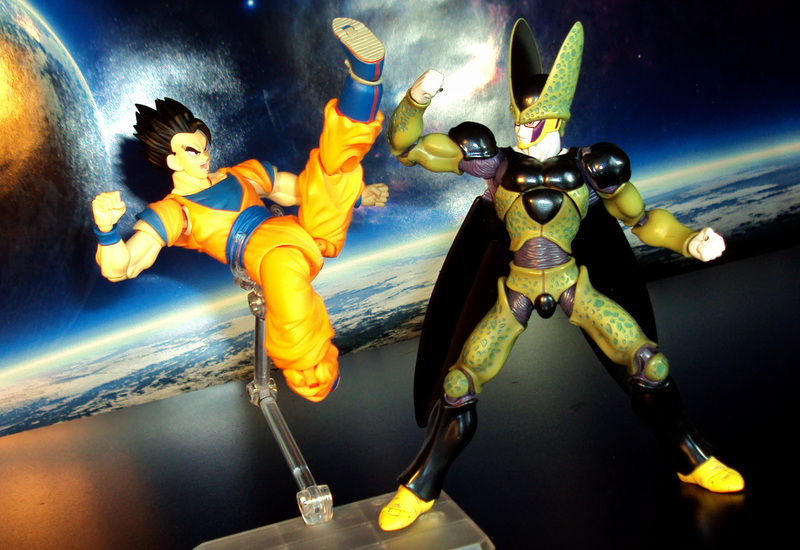 Too bad its not painted differently so they stand out better. 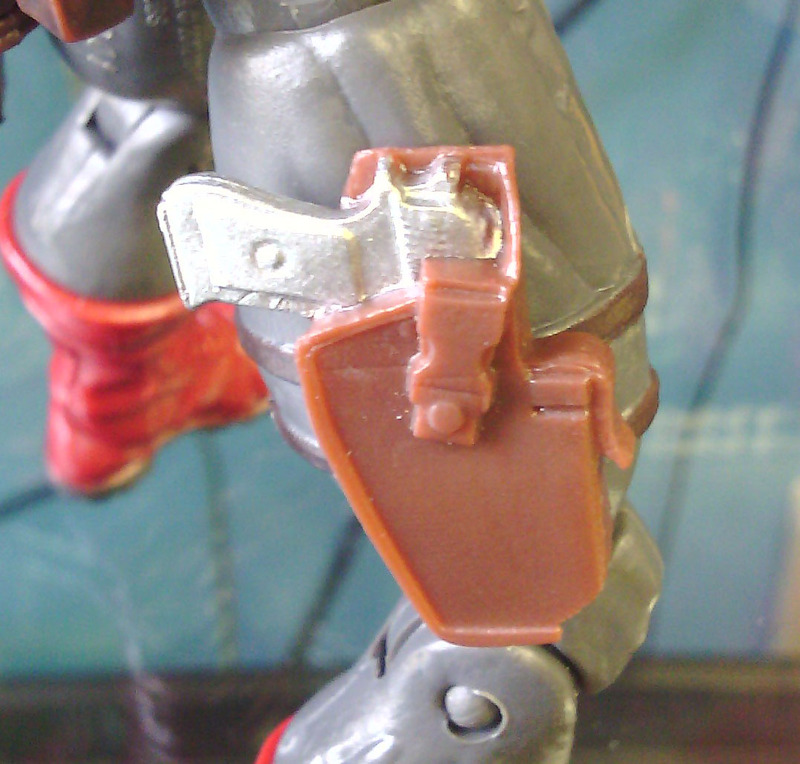 There’s a gun but its molded into his thigh holster 😥 At least it’s painted. 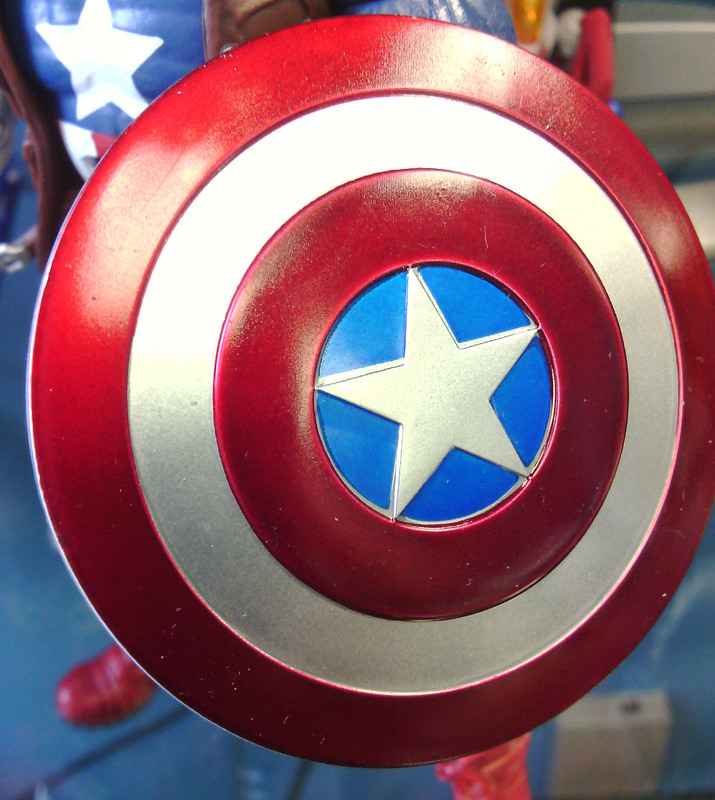 His shield is the same as Bucky Captain America’s with a nice metallic paint palette on the front of the shield. 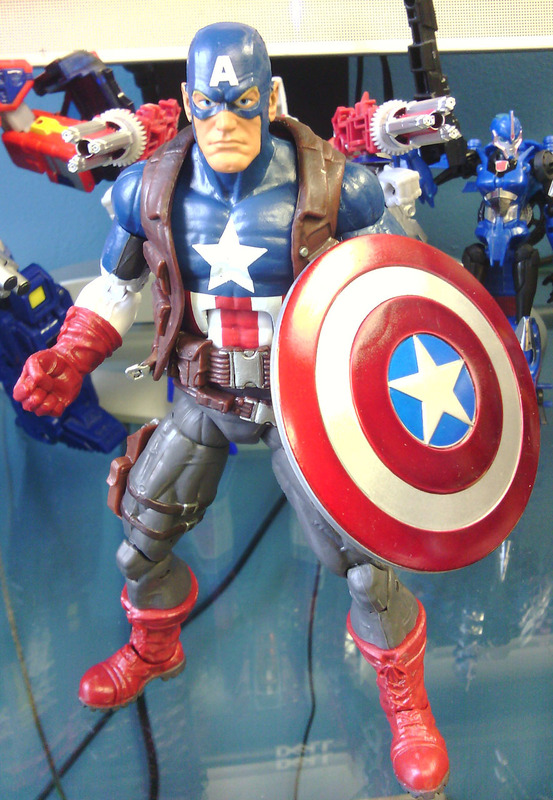 The head sculpt has the same facial design as the Steve Rogers Super Soldier mold. 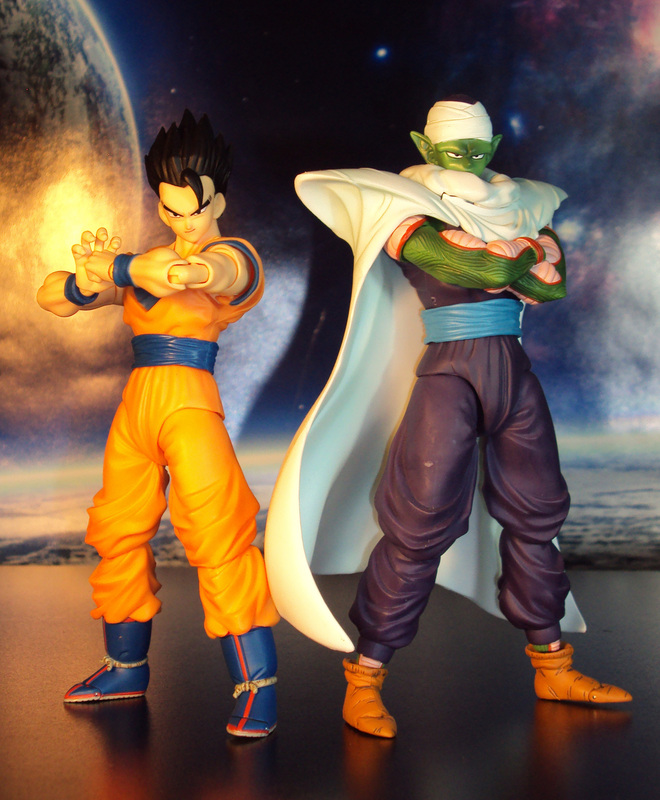 Very cool because you can head swap between the two figures and have extra display options. From the Captain America Concept Series: Night Mission Captain America. 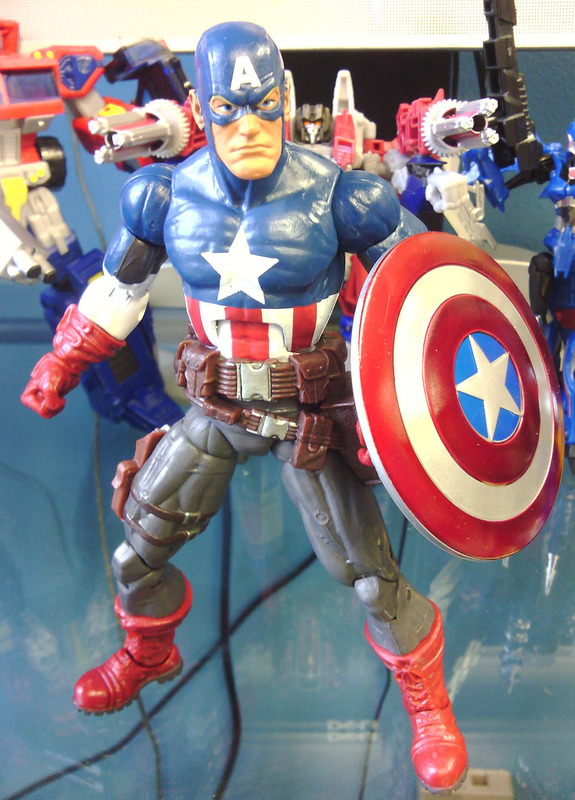 Uses the same body mold as Ultimate Captain America with a new paint palette. Colors are deeper. Includea transformable jetpack and trademark shield. 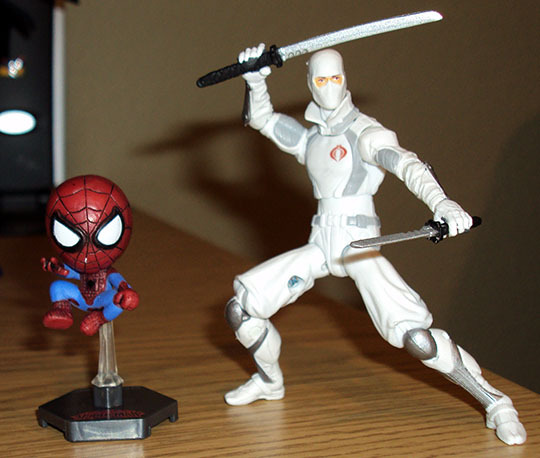 In the ultimate universe, a Peter Parker clone dons the mask of the Scorpion. 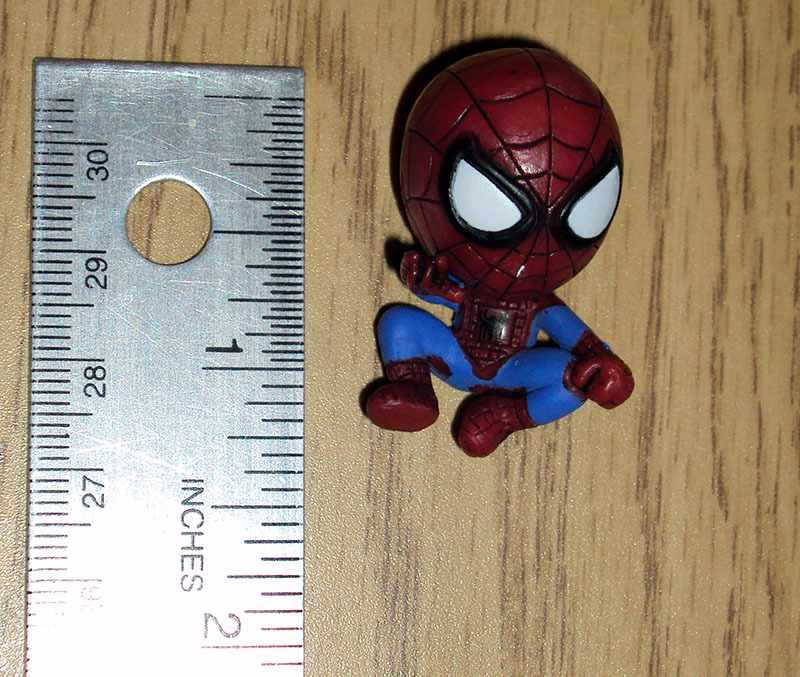 Check out this very impressive figure, part of Hasbro’s Spider-Man 3.75″ figure line.